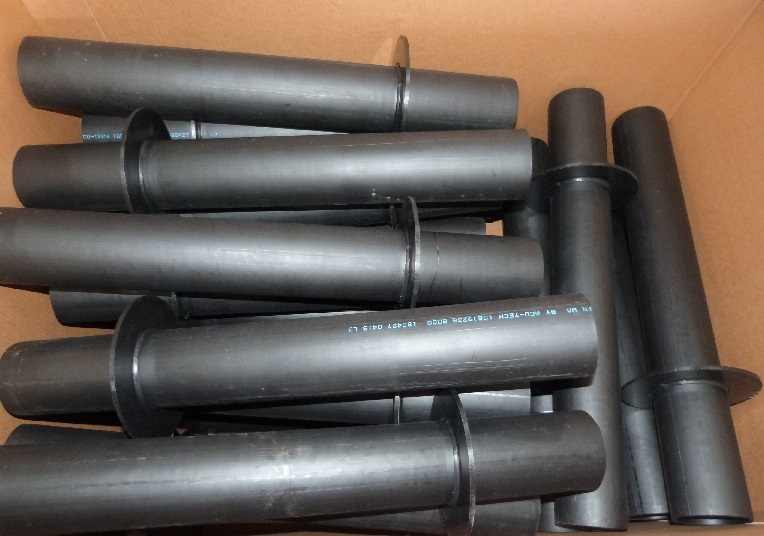 Acu-Tech Piping Systems fabricates custom sized Puddle Flanges for plumbing applications. 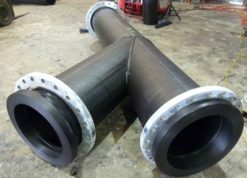 Custom Fabricated PE Puddle Flanges are joined to a pipeline within a building to stop water running along the outside of the pipe. 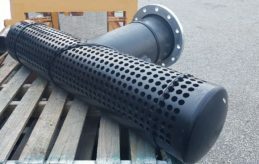 Puddle flanges are usually fabricated from HDPE Drainage pipe, and look like a round collar on a short piece of pipe. 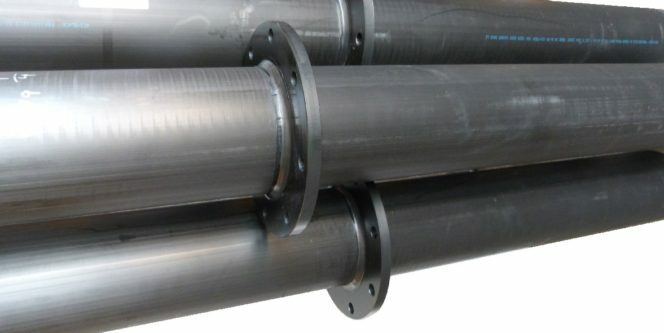 Using our own polyethylene Acu-Drain pipe, Acu-Tech’s fabrication workshop manufactures puddle flanges using CNC machines and Extrusion Welding techniques. 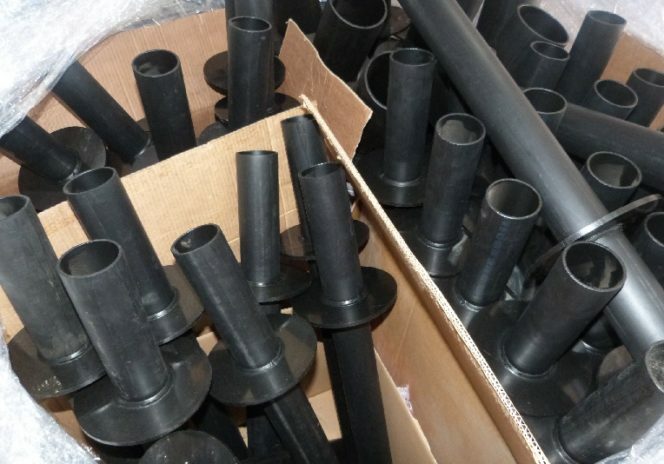 Also known as Leak Control Flanges, Puddle Flanges are made to suit the customers requirements, and can be made from HDPE pressure pipe if required. 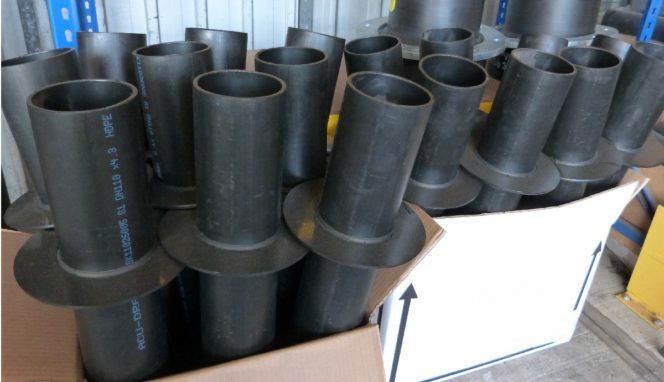 With a fully equipped plastic fabrication workshop and experienced and qualified operators, Acu-Tech Piping Systems fabricates puddle flanges, spools and components from pipe and sheet to client specifications. 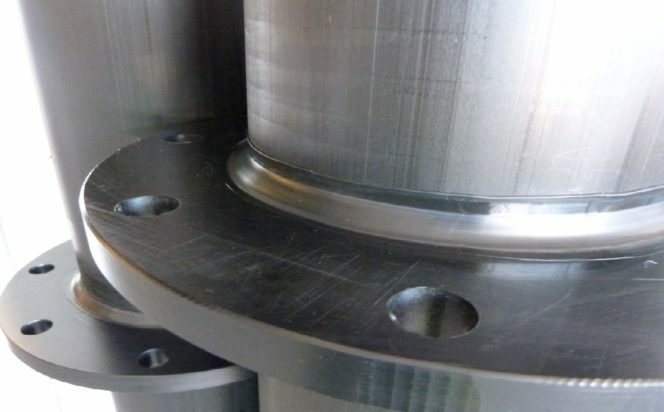 Our extensive fabrication capabilities includes sweep bends, junctions, true Y pieces, large bore mitred bends, chute fabrication, stub flanges, shouldered ends, launders, equal and reducing tees, and segmented bends ranging in size from 25mm – 800mm. 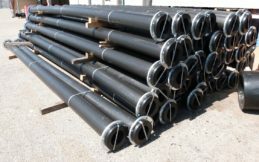 For any other requirements and for fabricated items that are less common and not mentioned our catalogue, feel free to contact us and we will gladly assist.